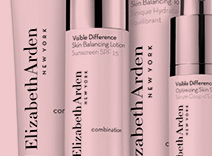 Visible Difference Skin Balancing Lotion Sunscreen SPF 15 is rated 4.6 out of 5 by 16. Everyone’s skin has its own ideal moisture level. Help maintain yours all day with this oil-free, skin balancing lotion for combination skin. SPF 15 helps protect your skin from sun damage. Clinically and dermatologist tested. Non-comedogenic. Out Of Stock item. Expected ship date 09/06/2013. Creating a Visible Difference in your skin means giving it the right amount of hydration and protection all day. This gentle, oil-free lotion helps protect skin from UVA/UVB rays while providing the right amount of hydration all day long. 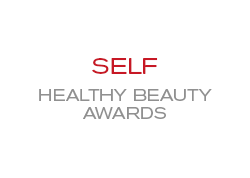 Our special Alpha/Beta Hydroxy Compound also works to refine, and retexturize skin. Found naturally in the epidermis, this ingredient lubricates and attracts moisture to the skin. This stabilized form of vitamin c provides antioxidant protection and helps brighten the appearance of your skin. This vitamin e derivative has antioxidant properties to provide free radical protection and help condition skin. Provides optimum hydration to replenish and revitalize skin’s appearance. 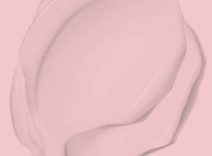 After cleansing and toning, smooth gently and thoroughly onto your face and throat. Rated 5 out of 5 by MdBeachGirl from Best moisturizer for combo skin and sensitive skin Best moisturizer! I have combo skin and I am terribly sensitive- many products make me get acne, or make my eyes tear up....this moisturizer is perfect. I will not wear my foundation without it! Every day!! Only down side is that the bottle breaks very easily. Rated 4 out of 5 by Lynn70 from Good under makeup This product is what I have chosen to replace Velva Moisture Film, a lotion I used for maybe 25 years. I like it, it goes on smoothly and it has a 15 SPF. What I don't like is that I can't tell when I am about to run out of it. So I don't have any more, then I have to order it online (since it isn't available in stores around here) and then I have to wait a week without the product I want to use under my foundation. Rated 5 out of 5 by daler73 from Simply STUNNING!! I have been using the classic Visible Difference since quite long time (that cream has literally SAVED my skin in the terrible Berlin winter). But with the warm-hot temperatures is sometimes a bit too much. After such a positive experience with the other I decided to try this one. And has been a very good election. It moisturizes the skin but it literally disappears into the skin, leaving no trace at all of film or greasy sensation, and control the sebum stunningly well. My skin feels totally comfortable and moisturized. Works amazingly well as a make up base. I think I'm turning a really huge fan of this brand. The more I read about this woman, the more I like her person and her legacy.